Why Do We Mock Aspiring Musicians and Revere Entrepreneurs? The opening scene of the first episode of HBO&apos;s new series Silicon Valley happens at a Kid Rock concert. In the scene, a startup founder takes the microphone away from the rock star to talk about making the world a better place through coding. Meanwhile, the protagonists, aspiring startup founders living in a group house owned by a startup incubator, watch and imagine themselves on the stage. Thirty years ago, they&apos;d be dreaming of making music. Now, they want to be entrepreneurs. That&apos;s a shift that people have been noticing a lot, lately. In a 2013 interview with Forbes, award-winning film maker Ondi Timoner came out and said it: "Entrepreneurs are the rock stars of today." It&apos;s true: Our society&apos;s reverence for ultra-successful, celebrity musicians is unparalleled, but when it comes to the people just starting out on their careers, we celebrate entrepreneurs who move into their parents&apos; basement or garage, but mock musicians who do the same. We don&apos;t allow that, in reality, entrepreneurs and rock stars have a lot in common. Startup founders and musicians often enter their ventures with similar motivations and mindsets. Entrepreneur and music industry guru Julian Everly Shervington Wright has seen both sides of the story. He recently helped pair Jay-Z with General Cigar to launch Cohiba Comador Cigars and has his own start-up, PawnJordan. But Wright told PolicyMic via email that he doesn&apos;t see much of a difference between people in music and business: Both are "extremely resilient, creative, constantly evolving and totally consumed by their vision. They possess extraordinary work ethics, truly love what they do and embrace it as a lifestyle." The similarities are actually pretty literal. To succeed as an entrepreneur and as a musician, you have to juggle several sources of income. Increasingly, musicians are actually entrepreneurs outside of their music. According to Carlos Martinez-Arraras, lead guitarist of Texas "funkgrass" band Turbine Toolshed, "To be a successful musician these days is to be a successful entrepreneur." Martinez-Arraras has a full-time job separate from his music, tours with his band and looks for opportunities to create a business based on needs that he finds in the music world. "The Internet has paved the way towards the musical entrepreneur," he told PolicyMic. "It&apos;s simply not enough for a band to play a bunch of shows and sell a ton of CDs. I mean, that kind of thing helps, but 99% of the time, you actually have to start side businesses to help bring in the income." It&apos;s not only a parallel lifestyle, though — music and entrepreneurship have exactly parallel skill sets. Creating compelling music in the studio and on stage is product development; developing the band&apos;s image and communicating it to existing and potential fans is marketing; networking and finding new opportunities is business development. Improvising is pitching. Like entrepreneurs, musicians who can master these skills and consistently deliver a good product can make a career and find up-front investors (record execs). Erin Norris, a full-time musician and the lead singer and guitar player for her blues rock band in Austin, Texas, even describes getting signed as similar to being acquired. "Record labels are now more like distributors, as opposed to scouts," she told PolicyMic over the phone. "&apos;You go ahead and build your little empire, and then we&apos;ll sign you.&apos;" Recorded albums, a history of successful live shows, a fan base — a band needs to build all of these components (and more) before a label will even consider them, the same way a startup must show growth in users or sales before investors will consider them. "Work really hard for a couple years, like four hours of sleep kind of hard," Norris said. "Just try, promote yourself, play shows. Then hopefully someone will notice that hard work." People don&apos;t realize that it takes that kind of work, though, because few realize that musicians are now wholly in charge of this business portion of their career too. "Until fairly recently, the business side of music was exclusively handled by record labels, producers, managers and music publishers. The artist was the &apos;product,&apos;" says Eric Jensen, a guitarist, composer and business consultant who built and managed a successful audio post-production and commercial music business, and whose music has been featured on The Sopranos, NBC Sports and 20/20. "The entrepreneurial musician is a relatively new phenomenon, and general perceptions of what it means to be a professional musician may be stuck in the old-school model," he said. In ignoring that, we&apos;ve begun treating professional musicians as if they&apos;re ignoring careers altogether. Martinez-Arraras still gets the "Don&apos;t you think it&apos;s time you put down the guitar and focus on your career?" talk on a semi-regular basis, but he said that as the band becomes more successful, he gets more support. Musicians still need the kind of cultural support we give our entrepreneurs, if we want good music to be a part of our culture. 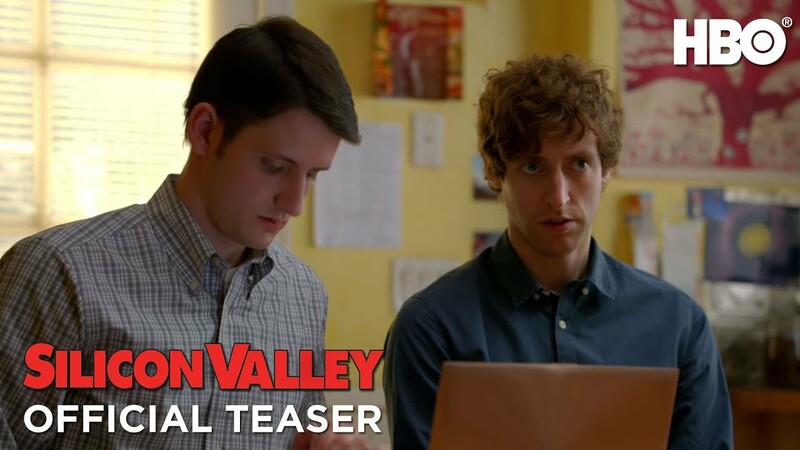 Silicon Valley&apos;s entrepreneurs are glorified in magazines and now even an HBO show. Let&apos;s remember, though, that much of the value these startups have created for us involve convenience or entertainment. And let&apos;s remember how much music adds to our lives, how difficult it is to "make it" and how much like being an entrepreneur that is. Let&apos;s give the support that aspiring musicians deserve.